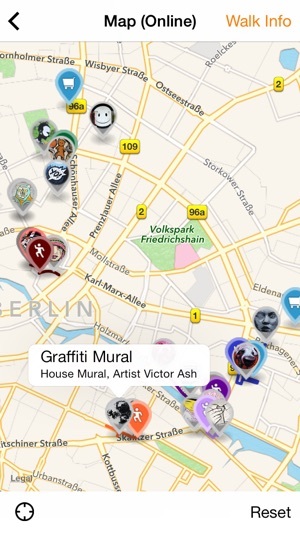 The app for street art and graffiti lovers. 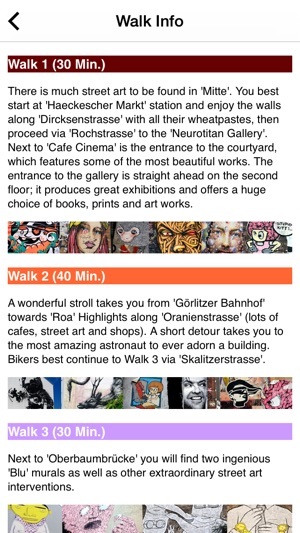 A guide to the city of Berlin. 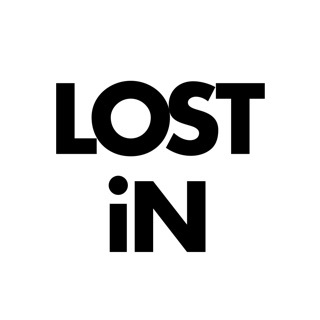 ONLINE MAP with GPS / OFFLINE MAP to avoid international roaming charges. • Shops selling cans and markers. 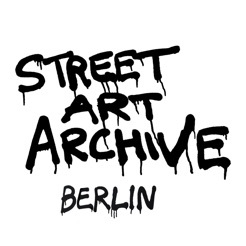 • Commercial galleries selling original works by street artists. 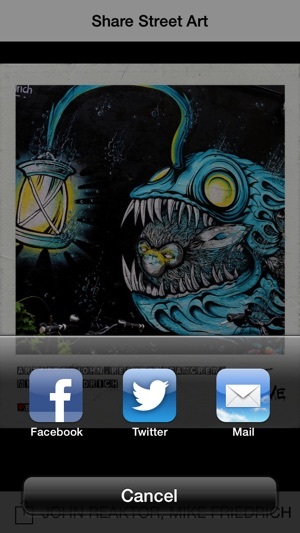 • Sharing brings happiness! 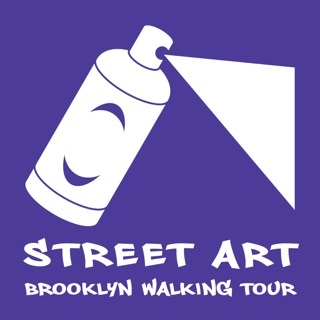 Share our street art finds with your friends on facebook, twitter and by email! 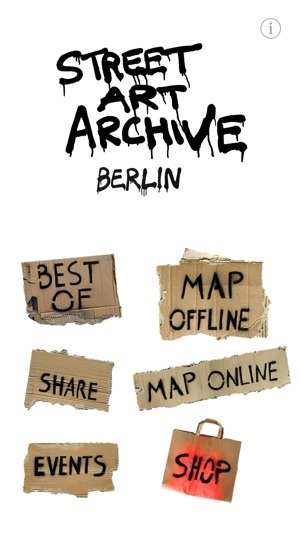 Enjoy our App and discover another side of Berlin. 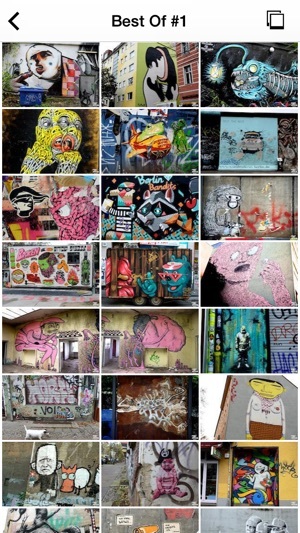 Also available the Street Art Archive App for Zurich.